"Be Our Guest!" 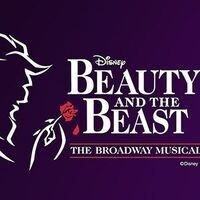 at Santa Clarita Regional Theatre's production of Disney's Beauty and the Beast. The Academy Award-winning animated film comes to life in this romantic and beloved take on the classic fairytale, featuring all of the wonderful songs written by Alan Menken and the late Howard Ashman, along with new songs by Mr. Menken and Tim Rice.